Now that it’s November, it’s time to start thinking about the Christmas season & all of the fun holiday events that are beginning this month. 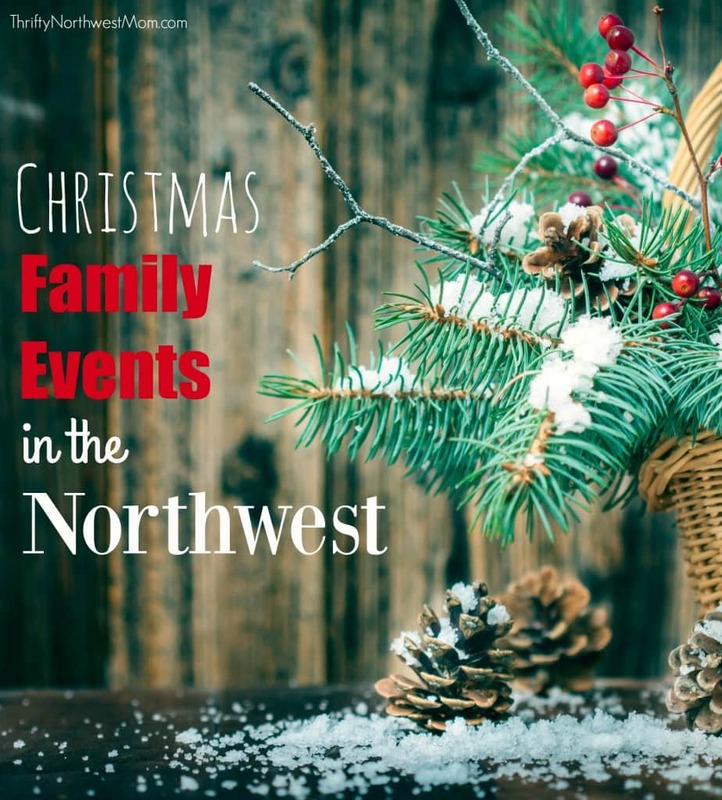 We are teaming up once again with Angela from Frugal Living NW to bring you a roundup of Christmas events, popular craft & gift bazaars and Christmas tree farms around the Northwest! If you see an event or Christmas tree farm that we missed, leave a comment or email us at thriftynorthwestmom (at) gmail.com and we’ll add it to the post! Let us know what your favorites are, too, and what you like about them! 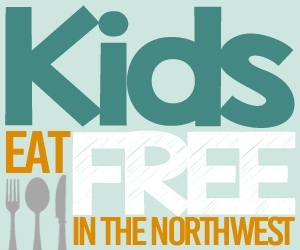 Don’t forget that you’ll find the best free or frugal ($5 or less) family events & activities going on around the Northwest, as well as national events, each Thursday evening! Gobble Up Food Show – Bell Harbor Conference Center, Seattle – Sat November 17th 10am – 6pm. Admission is free. Fine Art Holiday Gifts at Fauntleroy – Fellowship Hall at Fauntleroy Church – Seattle, WA– November 9th – 11th. Friday 5pm-8pm. Saturday 10am-4pm. Sunday 11am-2pm. Emerald Downs Holiday Gift Festival – Auburn, WA – November 11th & 12th 10am-4pm. Admission is free with a non-perishable food donation (otherwise $3/admission for adults, 17 & under are FREE), free parking. Enumclaw Festival of Crafts and Gifts – Enumclaw, WA – November 16th-18th. Friday and Saturday 10am-6pm, Sunday 10am-4pm. Kids 12 and under are FREE. Admission tickets are $5/each. My Friends and More Holiday Bazaar – Bothell, WA; Saturday, November 17th – 10am – 5pm. Free admission & free parking. Free photos with Santa (Santa will arrive at 1pm). Free refreshments & children’s craft area too. Bellevue Hilltop Holiday Craft Show – Bellevue, WA – November 28th – December 1st. Wednesday through Friday 10am-8pm, Saturday 10am-5pm. Admission is FREE. Urban Craft Uprising – Seattle Center Exhibition Hall, Seattle – Sat December 1st from 10-6 & Sunday Dec 2nd from 10-5pm; Tickets are Free! 150+ vendors selling unique handmade goods. Winter Festival and Crafts Fair – Seattle, WA – December 1st & 2nd. 10am-5pm. $4 admission and they request a can of food but it isn’t required. Kids 12 and under are free. Art Under $100 Holiday Event – Seattle, WA; Saturday, December 8th from 2-8pm; Seattle Design Center. Admission is FREE. Mill Creek Lions Club Holiday Bazaar – Everett, WA – Saturday, November 17th. 9am-5pm. Free admission. Holiday Festival of the Arts – Bellingham, WA – December 7th-9th. Friday noon-8pm, Saturday 11am-5pm, and Sunday 11am-5pm. Free admission. Dickens Fair – Cavalero Mid High School, Everett WA – Saturday, December 1st, 2018. 10am-4pm. Thurston County Fair Holiday Bazaar – Lacey, WA – Friday November 2nd & 3rd Friday 4pm-8pm. Saturday 10am-5pm. Free admission & free parking. Lake Lawrence Holiday Bazaar – Yelm, WA – November 9th & 10th. 9:30am-5:30pm. Free admission and free parking. The Great Junk Hunt Vintage Market – Puyallup WA Fairgrounds. November 9th-10th, Friday 6-9pm $20 early bird admission. Saturday 10am-4pm $8 admission. Roy 8th Annual Holiday Bazaar – Roy, WA – November 17th. 9am-4pm. Free admission. Bearzaar – Olympia High School, WA – Saturday, November 17th 9am-4pm. Free admission, unless you want early admission at 8:15am for $5. Christmas Market – Little Creek Casino, Shelton, WA – November 23rd – 25th, 11am – 7pm, free admission for all, pictures with Santa & more. Winterfest Arts & Crafts Fair– Gig Harbor, WA – November 25th & 26th. Saturday 9am-5pm. Sunday 11am-4pm. $5 admission. A Victorian Country Christmas – Puyallup, WA – November 28th – December 2nd, 2018. Wednesday-Thursday 10am-8pm. Friday-Saturday 10am-9pm. Sunday 10am-6pm. Free parking. Tickets are available online or you can buy them at the gate (cash only). Online Admission for Adults is $10 Wednesday-Friday and $12 Saturday-Sunday, Seniors (62+) $9 Wednesday-Friday and $10 Saturday-Sunday, Students (Ages 6-18) $9 Wednesday-Friday and $10 Saturday-Sunday, Military w/ ID $8 Wednesday-Friday and $9 Saturday-Sunday. Kids 5 and under are free. Holiday Gift and Food Fair – Bremerton, WA – November 16th-18th. Friday and Saturday 10am-6pm. Sunday 10am-5pm. Admission is $5 for adults, $4 for senior citizens (62+) ,$4 for teens, and free for children 12 and under. Bring a canned food donation and a coupon from the site for $1.00 off admission or bring a new toy for free admission! Admission is good for all 3 days of the fair. Holiday Craft Sale – Port Townsend, WA – November 23rd-24th. 10am-5pm. Winter Fanta-Sea Crafts Festival – Ocean Shores, WA – November 23rd – 25th. Free admission. Tidefest – Gig Harbor, WA – December 1st & 2nd Saturday 10am-5pm. Sunday 11am-4pm. $5 admission. Enjoy fine arts and crafts. Silver Bells Christmas Bazaar – Bremerton, WA – December 8th. 10am – 5pm. Free admission and parking. Hometown Holiday Benefit Bazaar – Port Orchard, WA. December 8th from 9am – 7pm. $2 per person or $1 if you bring a canned food donation; 12 & under free (all of the admission money will be given to a local family in need). Santa & Mrs. Claus will be there for pictures. Celebrate the Season at Molbak’s – Woodinville – Daily through 01/07. The Holiday kickoff weekend is Nov 9th-11th. See a 14-foot high poinsettia tree and more than 25 varieties of poinsettias. View themed Christmas trees. Take pictures with Santa on select weekends which is offered to rewards members only. Swanson’s Reindeer Festival – Seattle (Ballard area) – November 10th – December 24th; Visit with 2 of Santa’s reindeer & a camel and check out the model train village. Julefest – Seattle, WA – November 17th-18th. 10am-5pm. Yulefest gives you a glimpse of a traditional Nordic Christmas and offers you opportunities to finish up Christmas shopping. Festival of Trees – Fairmont Olympic Hotel in Seattle; November 18th. 1pm-4pm. Free admission. Enjoy a display of decorated Christmas trees. Each tree will have a photo and story of a patient at Seattle Children’s Hospital. Free admission. Gingerbread Village – Sheraton Hotel in Seattle. November 20th is the opening and it runs through January 1st, 2019. Open 24 hours/day, 7 days a week. Free admission. View oversized gingerbread houses created by the culinary staff at the Sheraton and vote for your favorite one. Downtown Macy’s Holiday Parade – Seattle – Seattle – November 23rd. The parade begins at 9am on the corner of 7th Ave. and Pine St., and will then travel west down Pine to 5th Ave., south on 5th to University St., west on University to 4th Ave. and then north on 4th before concluding at the front of Macy’s Department Store at approximately 11 AM. Downtown Lighting of Christmas Tree & Macy’s Star – Seattle – Date to be announced, 4:30pm. Watch the lighting of the famous Macy’s star following by a fireworks show. Winterfest – Seattle Center, Seattle – November 23rd – January 6th. Ice skating, live music, shopping, and more. Christmas Ship Festival – Seattle – November 23rd – December 23rd. The Royal Argosy Ship & other boats travel to 45 communities with choirs on board, broadcasting their carols over loudspeakers so that those on shore can hear. Lead boat Tickets are $48 for adults, $43 for seniors (65+), $32 for youth ages 4-12, and free for children under 3. Follow boat tickets are $38 for adults, $34 for seniors (65+), $22 for youth ages 4-12, and free for children under 3. Check out the website for even more price points. Garden D’Lights – Bellevue Botanical Gardens – November 24th – December 30th, 2018. 4:30pm-9:00pm. $5 admission. Children 10 & younger are free. Free admission nights are November 24, 25, 26, 27, 28 & 29. The Bellevue Botanical Garden is lit up with thousands of Christmas light. Providence O’Christmas Trees Christmas Carnival – The Westin Seattle Ballroom – November 26th. 3pm-7pm. Live performance from various groups, carnival games, snacks, photos with Santa and more. Free admission. Caspar Babypants will perform at 6pm. The Great Figgy Pudding Street Corner Caroling Competition – Seattle (Westlake Center) – Friday December 7th. 6pm-8:30pm. Dozens of caroling teams compete, with the top teams competing in a sing-off on the main stage. Parade of Boats – Seattle (Lake Union); Friday, December 14th. You can view this anywhere along Lake Union. Starts at 7:30pm. New Years Eve at the Space Needle – Seattle – December 31st. Watch the fireworks light up the Space Needle at midnight. The Machine will perform a free live concert starting at 8:15. Lights of Christmas – Warm Beach/Stanwood – View the display of over 1 million Christmas lights, enjoy Christmas carolers, snacks, and more. Open from 5pm-10pm on the following dates: November 29th- December 2nd, December 6-9, 13-16, 19-23, 26-39th. Tickets are $16 for Adults, $13 for Military, $13 for Seniors (60+), $12 for Children (4-12), and Free for Children 3 and under. AAA Members can save $2.00. Pay What You Can Nights are Nov. 29th & Dec. 6, 27, 28th. Christmas Tree Lighting & Santa’s Arrival – Country Village Shops, Bothell – December 1st. Santa will arrive at 7pm (although there will be earlier activities). Complimentary hot roasted chestnuts at 4pm, surprise visit by the Grinch, whimsical gingerbread house displays, and more. Fantasy Lights – Spanaway – November 22nd – January 1st. 5:30pm-9pm. Drive through the 2-mile long Christmas lights display. Tune your radio to 95.3 FM to listen to special holiday music while you drive. Please anticipate very long waits, especially on Friday and Saturday evenings. Admission is $14 per vehicle/mini-bus and $45 for each bus. Half-price nights are Nov. 26 -28, Dec. 3-5th. You can also go on Sunday 11/18 to walk Fantasy Lights & get discount admission – $3/person if you pre-purchase or $9/family of 4. Zoolights – Point Defiance Zoo, Tacoma – November 23rd – January 6th. 5pm-9pm. Open every night except 12/24. Admission is $10.00 online for non-members and $12.00 at the gate. Admission for members is $6. Children 2 and younger are free and parking is also free. Enjoy the zoo animals lit up by 100% LED-bulb Christmas light displays. If you don’t see your favorite Christmas tree farm listed, make sure to check out the Puget Sound Christmas Tree Association list, too. Serres Farm – Redmond, WA – Starts Nov 23rd – Open until sold out. Ronnei Christmas Tree Farm – Carnation, WA – Open November 23rd until sold out. Weekdays 11am-4pm. Weekends 9am-4pm. Keith and Scott Tree Farm – North Bend, WA – Starts November 23rd. Weekends only (Saturdays and Sunday) 9am-dusk. Cash or check only. Pets are welcome as long as they are on a leash. Trinity Tree Farm – Issaquah, WA – Opening for Christmas Tree Season November 23rd. Open on weekends from 8am-6pm and weekdays 10am-6pm. Offering hand saws for us, tree tie down, assistance loading the tree into your vehicle, hot beverages, and more. Crystal Creek Farm – Maple Valley, WA – Open during the Christmas season. 9am-4pm. Papa’s Tree Farm – Maple Valley, WA – Open November 23rd. Mon-Fri 10am-dusk. Sat-Sun 9am-dusk. Three Tree Farms – Maple Valley, WA – Open November 23rd, then the regular schedule is Thursdays-Sundays. 9am-dusk. Cash or checks only. Pfaff’s Christmas Tree Farm – Auburn, WA – Open November 23rd – December 24th. Weekends 9am-6:30 pm, Weekdays 10 am-6:30 pm. Carnation Tree Farm – Carnation, WA – Opening date Nov 23rd. Open Thursdays-Sundays 9am-4:30pm. Enchanted Winds Tree Farm – Issaquah, WA – Open November 24th through December 17th or until sold out. Thursdays and Fridays 10am-4:30pm. Saturdays and Sundays 9am-4:30pm. Big Lake Trees – Mount Vernon, WA – Open November 23rd through December 9th. Open 9:30am -4:30pm (closed Tues, Wed, Thurs). Lochsloy Acres Christmas Tree Farm – Lake Stevens, WA – Before Thanksgiving Pre-Season Sale starts. Open November 3rd (except Tuesdays) 11am-4:30pm. 9am – 4pm weekends & 11:30 – 4:30pm weekdays except Tuesdays. See schedule for before Thanksgiving. Stocker Farms – Snohomish, WA – Likely open November 23rd through Mid December. Hasn’t updated with times/dates yet. Riverlook Farm’s Red Barn Tree Farm – 119th & Highway 162, Puyallup – Open November 23 through mid-December. Weekdays 10am-4pm, Saturdays and Sundays 8am-4pm. Offering U-Cut and fresh cut Christmas trees, saws, cutting assistance, and baling for the tree. Plus a cute little train you can ride. Snowshoe Evergreen Tree Farm -10716 State Route 162 East, Puyallup – Opens in November. Monday thru Friday 10 a.m. to 5 p.m. Saturday and Sunday 9 a.m. to 5 p.m. Double 4 Tree Farm – Tacoma, WA – Pre-selection first 3 weekends in November starting the on the 3rd 9am-4pm. Cutting trees begins November 23rd – December 15th (closed on Mondays). Weekends 9am-4pm. Tuesdays-Fridays 12pm-4pm. Hillside Tree Farm – Sumner, WA – Open November 23rd until sold out. Weekdays 12pm-4pm. Weekends 9am-4pm. Ohop Ridge Tree Farm – Eatonville, WA – Open November 23rd. Saturdays and Sundays 9am-dusk. Holiday Christmas Trees – Eatonville, WA – Opens November 17th until December 16th. Fridays, Saturdays, and Sundays 9am-dusk. Hunter’s Christmas Tree Farm – Lacey/Yelm area; 7401 Yelm Hwy. SE – Open Friday, November 23rd through December 23rd. Weekdays 10am-6pm. Weekends 9am-6pm. Yule tree wagons to take you to the fields, free hot chocolate/coffee, reindeer, Santa visits on the first 3 weekends. Henry’s Tree Farm – Poulsbo, WA – Opens November 23rd, weekdays 10am-4:30pm and weekends 8am-4:30pm. Five Springs Tree Farm – Olalla, WA – Open Friday, November 23rd until sold out. Fridays 12pm-4pm and Saturdays and Sundays 9am-4pm. Special Black Friday hours of 9am-4pm. If we’ve missed your favorite event, bazaar or Christmas tree farm, leave a comment or email us at thriftynorthwestmom (at) gmail.com! Come see Christmas Island! It is set up in Maytown @ 2920 Tierney St, Olympia Wa. 98512. It is free ,opened every night from dusk till 9:30 ish and on Friday & Saturday nights we have refreshments and a cozy fire going in the barn. Opening night is Saturday,Nov.30 at 6 pm! You can see our FB page @ Christmas Island Maytown! Holiday Boutique @ The Hollywood Schoolhouse in Woodinville, November 13-17th. Wed 4-8, Thurs-Sat 9:30-8, Sunday 10-5. MOPS Boutique in Everett; November 23rd from 10 to 5. Clam Lights in Renton is another fun event! The Bellevue Festival of Nativities is amazing! Great way to bring the Christmas Spirit. Got a Christmas Tree farm up here in Oak Harbor I would LOVE to see you add to this page (I am not the owner of the farm) https://www.facebook.com/Pacificwindsfarm?ref=ts&fref=ts Pacific Winds Farm (use to be known as Woodbee Tree farm). December 16th through the 20th, 7:00pm to 8:30pm, Calvary Chapel Eastside’s Lakemont Parking Lot; 5130 164th Ave SE, Bellevue, 98006. Join us for our annual live Nativity, “Road to Bethlehem,” featuring live actors, animals, and the true story of Christmas! Invite your friends and neighbors! PACK UP THE CAR AND BRING THE FAMILY! SANTA WILL BE HERE FOR PICTURES! Make sure the kids bring a letter for Santa! Come support local Artists & Crafters & our Kids. We have a bit of everything! 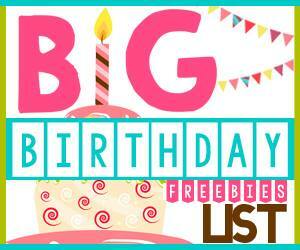 Lots of Homemade Crafts, Blankets/Quilts, Jewelry, Sweet Treats, Seasonal Gifts, Crochet Items, Holiday Theme Gifts, Paper Crafts, Photobooks, Vinyl Decals, and much, much more! PSC will have raffles throughout the day, & a Bake Sale. This Friday, Saturday, and Sunday we will host a bazaar and sale at our office ! Get some early holiday shopping done and support a great cause. We’ll have vendors, like: Usborne Books, Scentsy, Simply Fun, Mary Kay, Tastefully Simple, doTERRA, and we’ll even have paraffin hand dips from a licensed cosmetologist on Sunday. There will also be a bake sale with gluten-free options, snacks, crafts for kids, and lots of donated items up for sale. We’ll also have some items to give away. Don’t miss out! Thank you, just added it to our list! This is the correct link for the Duwamish Native Holiday Gift Fair. Thank you so much for your work in creating this list. We so appreciate it! We are so happy it is useful to you Stacie! Do you know of any way for low income families to recieve help from Christmas charities or an angel tree program in the Sumner area? For a single mother of a special needs child who has zero income and can provide proof. I am not familiar with any on a first hand basis (but I will ask some folks who might be, and get back to you if I find more). I do know that many programs are run through DSHS, and I did find some info for Christmas help if your in Pierce County here that you might want to call and see if you can find out more – https://www.needhelppayingbills.com/html/pierce_county_free_christmas_ass.html (sounds like applications might be done at your childs school in your area, and I know we do giving trees at my kids schools, so I might also check in with the front office at your childs school for more info). Another place you might ask for resources is your local food bank, or fire department. They may be able to guide you to distribution centers if they do not do it themselves. Will be praying for your family this year.